The ruffles, smooth top, and all in white? so pretty! This is with my super secret buttercream recipe. 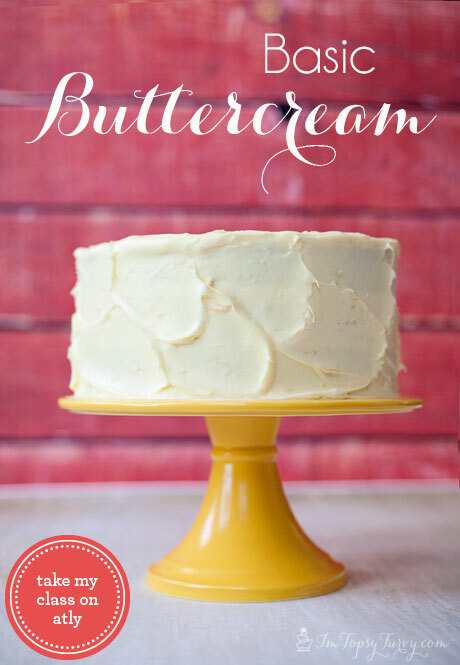 I’ve been working on it for years, it’s a mix between american buttercream (which is too sweet for me) and swiss merinque buttercream which doesn’t pipe well and is SUPER buttery. I wanted something between, strong enough for piping, but super smooth and creamy. Also not too sweet and not too buttery! 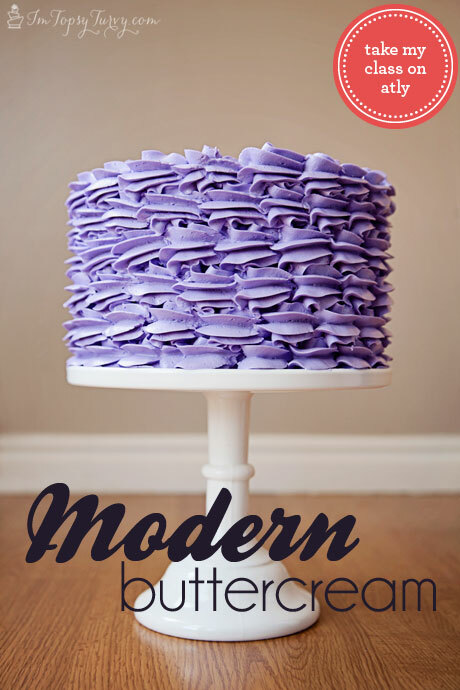 Anyway, while I’m saving it for a cookbook I do share it as part of my modern buttercream class on atly! See how the ruffles are strong, and not droopy looking? but the top still has a great smooth glossy look? PERFECTION! 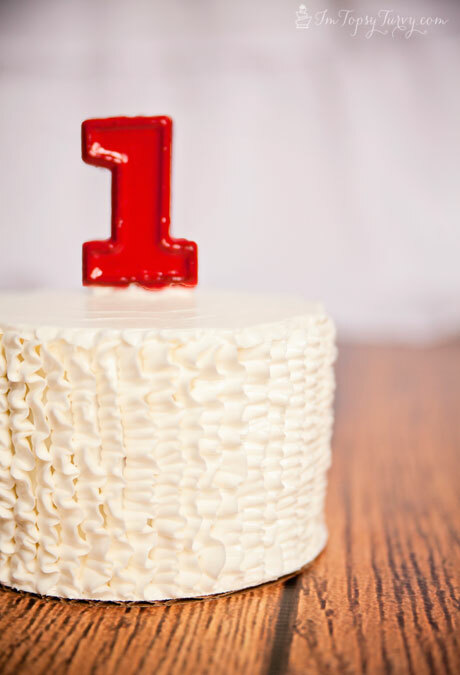 I haven’t liked frosting in years, because I’ve eaten so much of it, blech, but this frosting? I could eat by the spoonful! 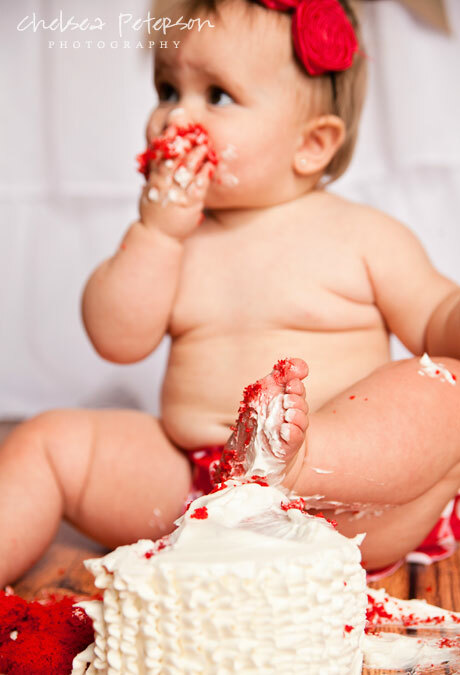 I love watching babies with their first cake! It’s so fun to see how they are going to react. Some hate getting messy, some don’t like the texture of the cake, you just never know. This little one loves food (can you tell? I love those wrists and fingers) and doesn’t mind being a mess so she was a total rock star! Baby bra anyone? Seriously I can’t handle the cuteness that is my sweet niece! This little one is a little unsure of me sometimes, maybe it’s the hair? but I’m winning her over. I was so sad when her hair grew out, she has this great cowlick and for the first 9 months she had a natural mowhawk and we were twins! Wanna hear something funny? she’s totally thinned out in this picture from the few months before! It’s kind of sad when they start moving and shaking and thinning out like this. 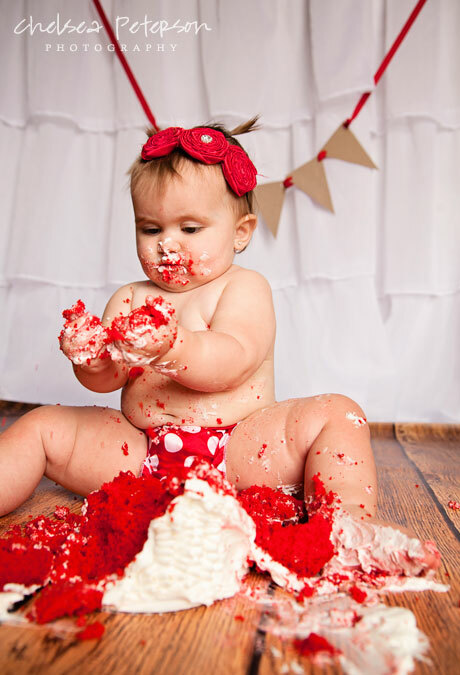 She had the worlds best baby thighs (she still does, but… it’s just not the same) ANYWAY this girl just WENT for it, she LOVED the cake and frosting and made a beautiful mess! 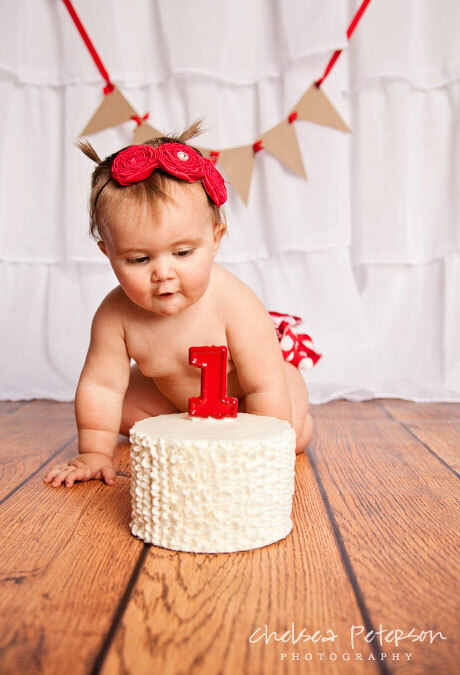 The baby and the cake – beautiful!! What a beautiful cake! My daughter’s birthday is coming up. She’ll be 3. This would be such a fun cake to make for her. Pinning! Love this shoot! 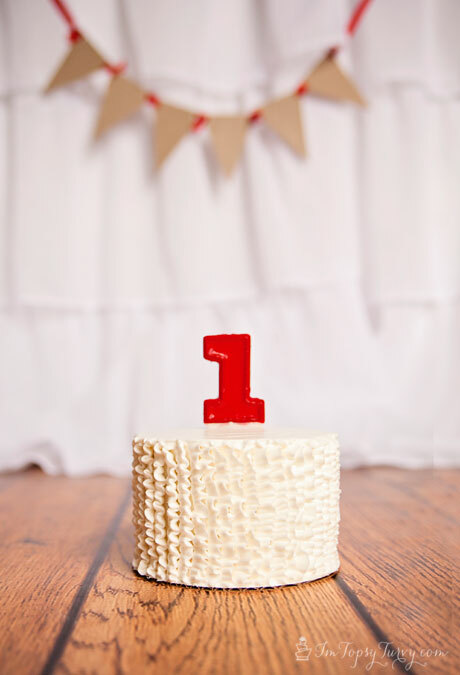 Cake and baby, super cute! thanks! the cake is all me, but the shoot (and baby) are all my talented sister!